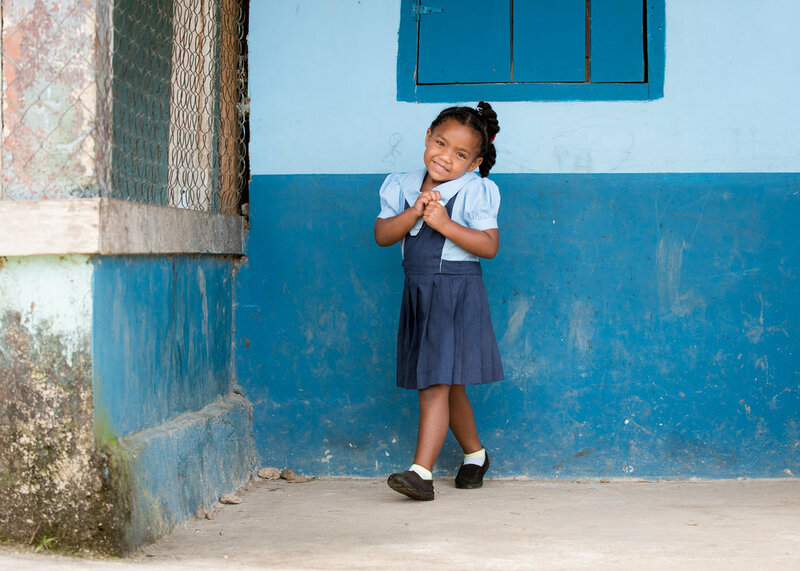 Join us as we support education in primary schools and explore the beauty of Belize. 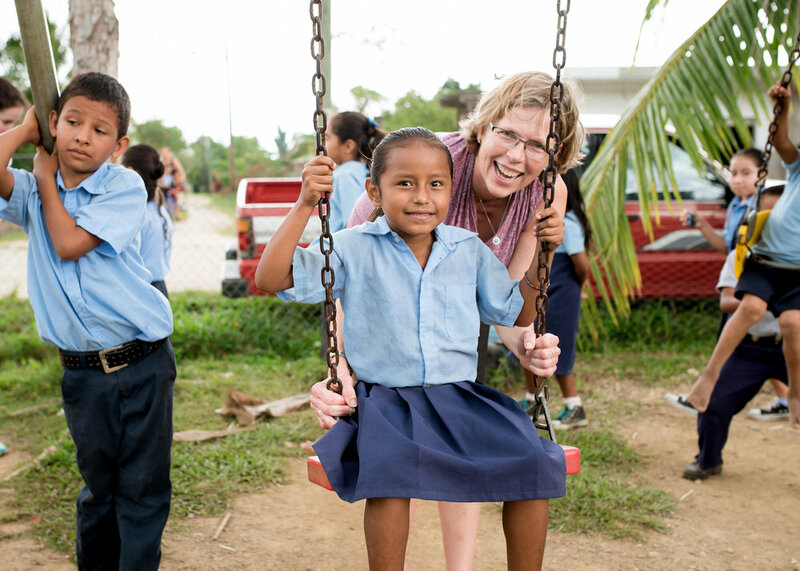 Work alongside a Belizean teacher in their classroom supporting English language education, create new friendships, and become global citizens! Partner closely with youth in a new culture as you share your skills! Explore Belize: Historic Actun Tunichil Muknal cave (as seen on National Geographic), The Belize Zoo, the historic Mayan ruins, local San Ignacio market, relax on a beautiful island, and snorkel the one-of-a-kind island reef! Costs are all-inclusive: international flight, all lodging, meals, land and water transportation, guides, excursions and gear, entrance fees, traveler’s insurance, service materials, etc. Guided cultural excursions: Historic Mayan Ruins + Caves, local market, chocolate making demonstration, Green Iguana Conservation Project, cooking class, The Belize Zoo, Marie Sharp’s Hot Sauce, sailing and snorkeling the Belize Barrier Reef, etc. Arrive at the Belize City International airport and transfer to our home base lodge. We will get settled into our accommodations, relax, and have time to meet the other participants prior to our welcome dinner. Our dynamic Belizean guest speaker will introduce us to the history and culture of Belize to bring the day to a close. Following breakfast, we make our way to a hands-on chocolate making demonstration in the heart of San Ignacio town. Learn more about the cocoa bean and its importance in the Mayan history and culture. Visit the Green Iguana Conservation Project (GICP). The local Saturday San Ignacio Market, a wonderful opportunity to share how locals purchase groceries, sell art, buy various home needs, etc., is a short walk from the GICP. Lunch will be enjoyed at local restaurant in a nearby village and we head to the Xunantunich Maya Ruins (“Stone Lady”). 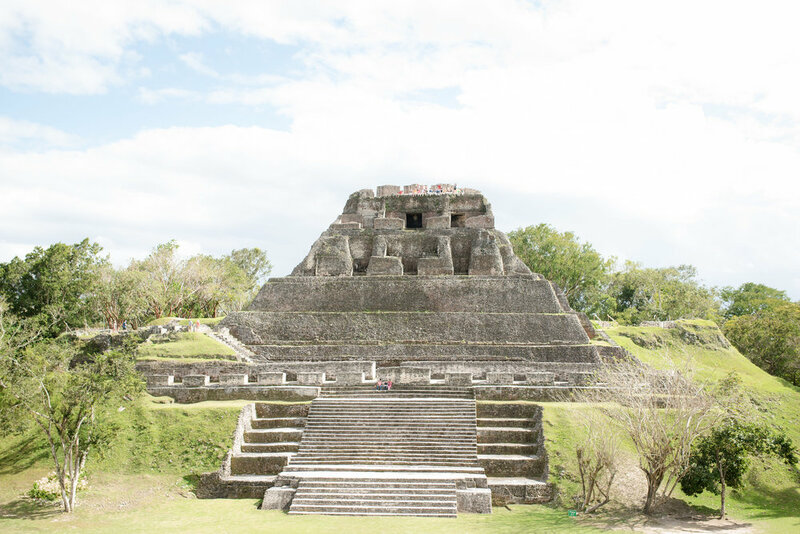 A beautiful climb to the top of the ruins is a 360-degree panoramic view of Belize and Guatemala. We return to our home base for a delicious dinner. We set out for the day’s adventure to the world-class Actun Tunichil Muknal Cave after breakfast. The ATM excursion is a full day excursion and lunch is served. After our beautiful drive home along the Hummingbird Highway, we return to our home base for dinner. Kelli will guide the program through a service preparation and expectation discussion to launch us into a week of service. Breakfast will be served and we make our way to the local village primary school for full service days in the classroom. After our service at the school, we return to home base to prepare for our afternoons of adventure: The Belize Zoo, Marie Sharp’s Hot Sauce Factory, and a local cooking class. The Belize Zoo, coined the “Best Little Zoo in the World” and home to only native species, will consist of our up close and personal tour provided by licensed zoo guides upon arrival. At the Marie Sharp’s Hot Sauce Factory, Marie Sharp and her team share her entrepreneurial success story and the uniqueness of her internationally recognized Belizean pepper sauces. Participate alongside our local kitchen staff to learn how to make a local dish for dinner and take a recipe home. Each evening will be closed with a guided service conversation preparing us for the next day of service, and a reflection on our time in country together. Breakfast will be served and we promptly depart for the local primary school. After lunch, we depart for the water taxi in Belize City. We take in the beautiful view of the crystal clear Caribbean Sea as we land on the island of Caye Caulker. We settle into our island accommodations upon arrival, and dinner is served at a restaurant only walking distance from the hotel. Breakfast will be served at the most delicious breakfast restaurant on the caye, Amor y Café. We head next door to our snorkel shop to be fitted for our gear and hop on the catamaran. This day brings a spectacular full day of sailing and snorkeling alongside sea turtles and other colorful sea life, and a tasty local lunch served on the boat. We return to the island and dinner is served at a local restaurant walking distance from the hotel. Breakfast will be served and travelers will spend their final moments picking up last-minute souvenirs or taking in the beachside sunrise views on the beach. We transfer back to the Belize City airport via the water taxi and prepare for departures. [Guests return to the states and/or remain in country for personal travel]. It only takes a $250 deposit to reserve your spot on this unique Belize trip! Congratulations on your decision to join our international service trip in Belize, Central America! You are now on your way (and continuing your impactful journey) to global citizenship. In order to complete your program registration, simply click on the big green registration button below. We kindly ask each service participant to complete the brief form and submit the nonrefundable deposit of $250 to confirm your registration. If you have questions about what is and what is not included with your trip or our refund policy please click the expanding links below. Registration includes all in-country expenses including: round-trip international airfare, all service-learning materials, lodging with three healthy meals per day, all in-country transportation (land and water) with licensed guides, airport and water ferry transfers, country-expert presentations, professionally guided educational and cultural excursions with licensed guides, tips, and gear rental, traveler’s insurance, 24/7 professional full-time supervision and logistical support. Your program has been designed for you to not worry about any expenses throughout the duration of your program. The only items not covered on your program are luggage fees, souvenirs, and incidentals. The fee charged to participate in the Program is paid in installments. Participant understands and agrees that after Participant has applied for and confirmed participation in the Program, GSP will make arrangements for the Program based on Participant’s attendance (for example booking lodging and not accepting other Program participants for the slot taken by Participant). For this reason, in the event Participant cancels participation in the Program after making application and confirming participation, all monies paid on or before the notice of cancellation shall be retained by GSP in order to offset its loss of business and ninety days prior to the Program departure date, all monies paid shall be retained by GSP. Thus, if Participant withdraws from the Program within the ninety day period immediately preceding the Program departure date, no portion of the Program fee will be returned. All deposits are nonrefundable.